Fast, effective pain relief. 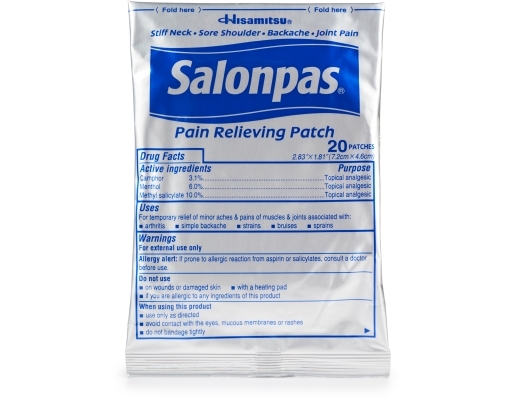 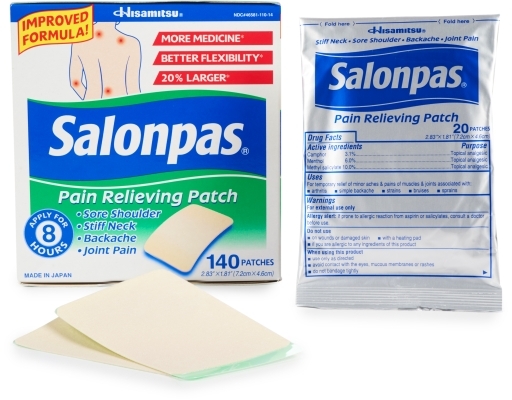 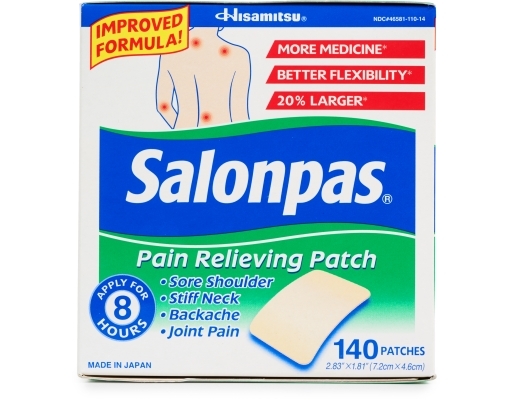 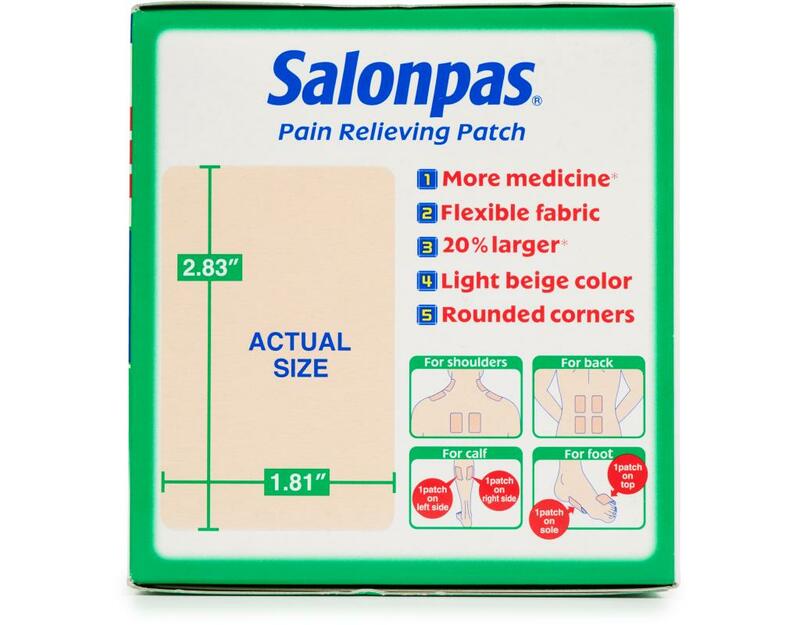 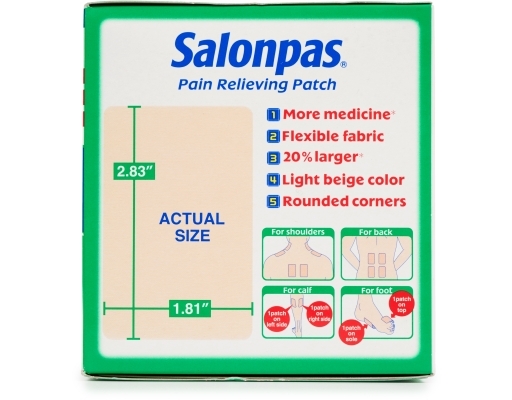 Salonpas topical pain relief patches and remedies provide powerful arthritis, joint, hip and back pain relief when and where you need it most. 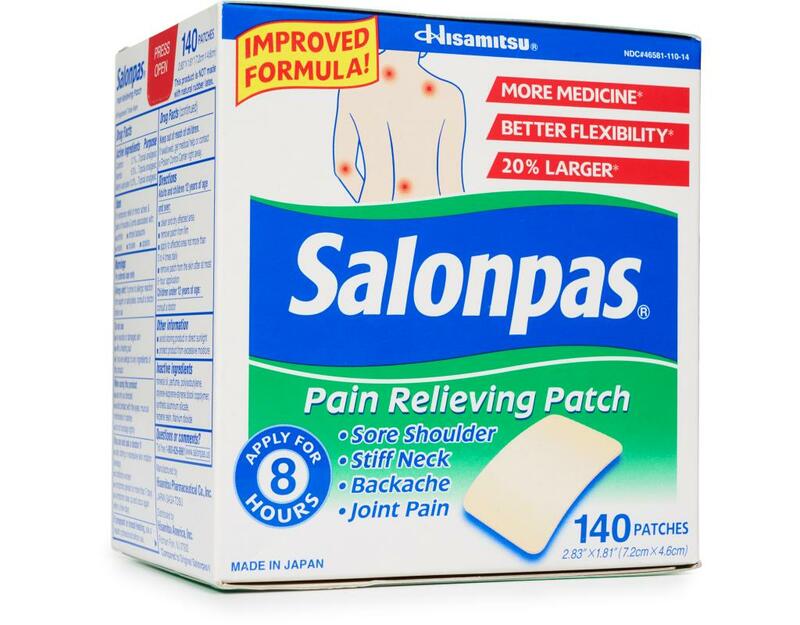 Be Pain Free. 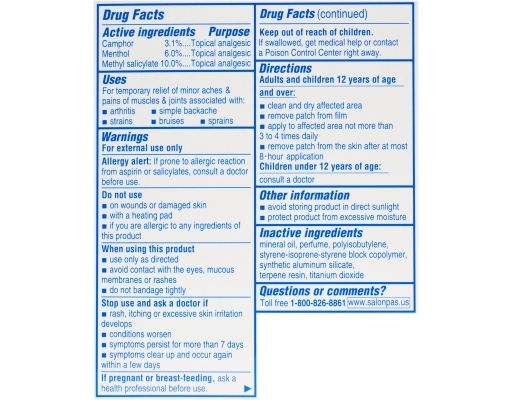 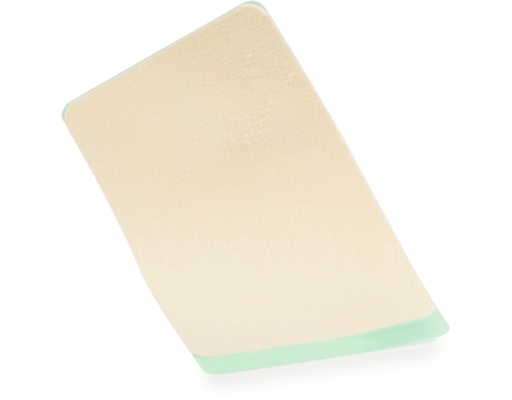 The strength of Salonpas Original is evident in that it’s still the #1 pain patch worldwide and Salonpas has three active ingredients in a flexible, easy to apply patch that can be used up to four at a time. 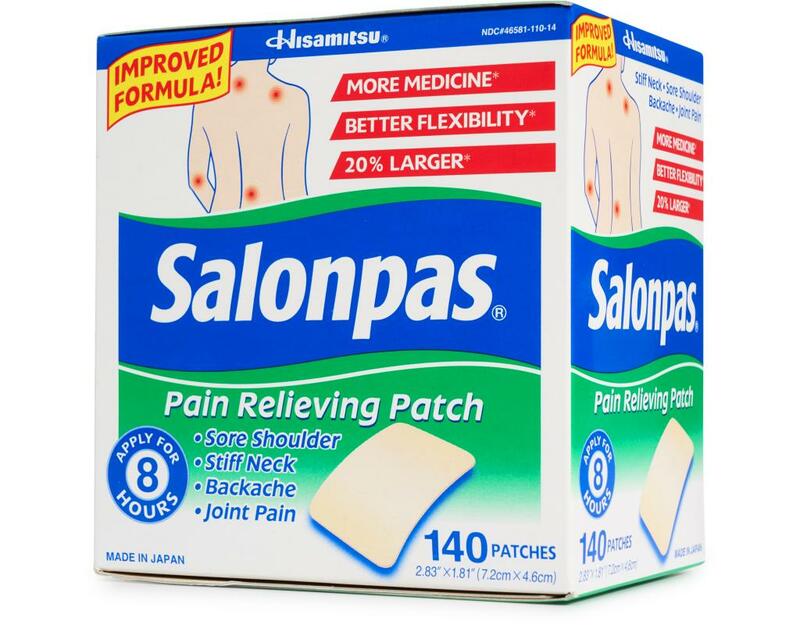 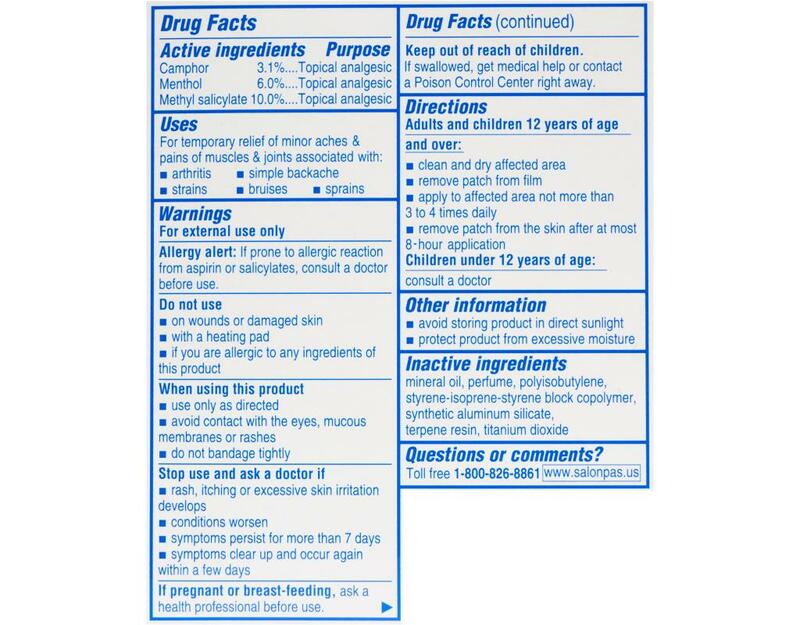 Salonpas Original provides temporary relief of minor aches & pains of muscles & joints associated with arthritis, simple backache, strains, bruises, sprains.